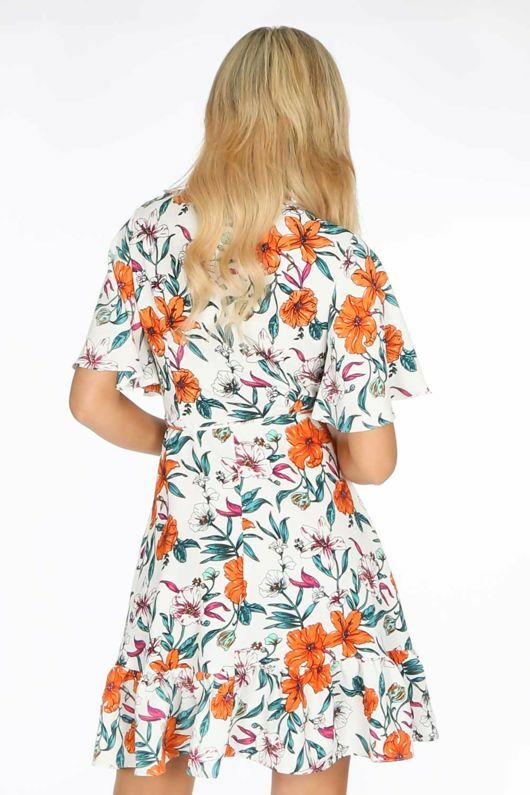 Get ready to show of those pins this Spring Summer in this gorgeous floral short sleeve wrap dress in white. 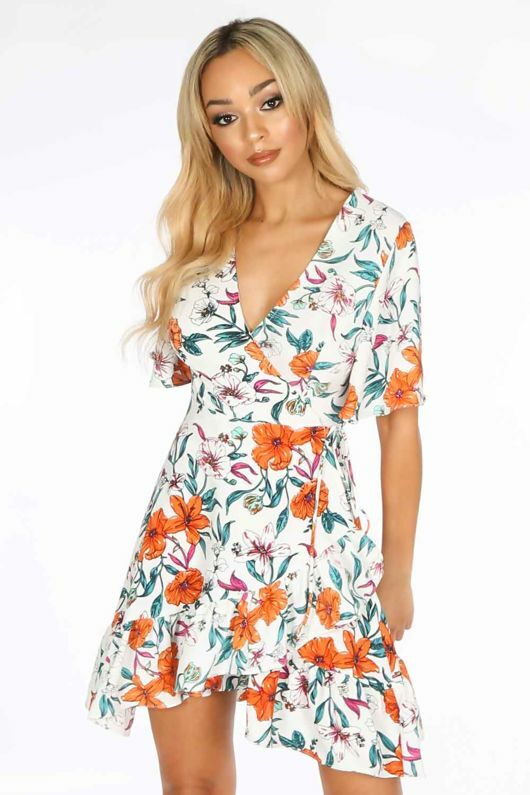 This super cute floral printed mini dress features a wrap around fastening and frilled hemline. Style with some barely there heels and tote for Summer chic. Available in a variety of colours the hard part will be choosing just one!